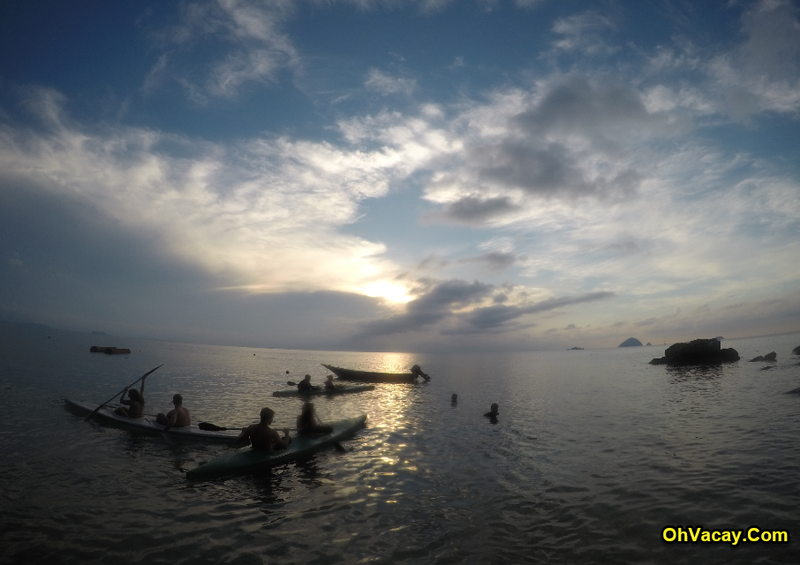 Sound like weird, but kayaking is one of the recommended activity after snorkeling in Perhentian island. If you like a adventure and plan to explore the island by your own, kayaking is a perfect activity. You can do what you want to do without limit. You can explore the isolated beaches or either just enjoy the beautiful sunset from the ocean. To rent the kayak, you can choose based on your preferences. There are a lot of rental service provided in both island either in Perhentian Kecil or Perhentian Besar. However, based on my experience I prefer to rent the Kayak around Coral Bay area. It is because, at this point I can see the sunset while I'm doing kayaking. If you are interested and energetic enough to explore both islands, you can do that. Most of the time water is calm, so won't have to worry about the waves. If you tired, take a short break and jump into the water to cool off your body. For the whole day rental the cost is just around RM60 to RM80. It's depend on where you rent the Kayak. You can share with partner. Don't forget to bring together with you drinking water, snacks, sunscreen, camera, waterproof beg, hat and sunglasses, life jacket, long sleeve.